First gather your materials and lay down a Trimaco Stay Put Canvas Drop Cloth to contain mess and provide an easy clean up. Roll out roughly 1-2 yard of Trimaco’s X-Paper and measure out individual banner pieces (make sure you have enough for whatever saying you desire, and a few extras if you want to add a few image pieces). 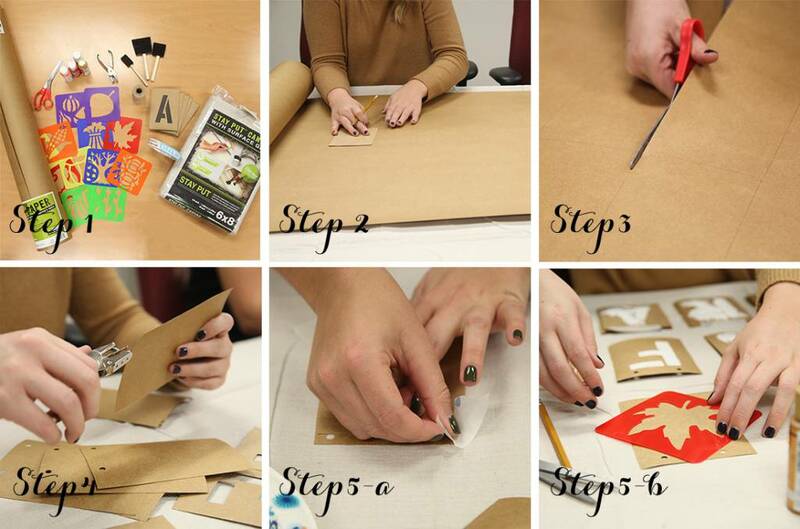 We made our rectangular pieces, like the stencil shape- but feel free to get creative! Cut the measured pieces and set aside. Punch two holes in the top of each banner piece in order to thread the twine and hang your banner later. Next, tape down the letter and image stencils using Trimaco’s KleenEdge Low Tack Tape to each individual banner piece. Lightly paint over the stencils with a color of your choosing. For lighter colors, two coats may be needed. Remove the stencils and let dry. Once dry, thread the twine through the banner pieces in the correct order. 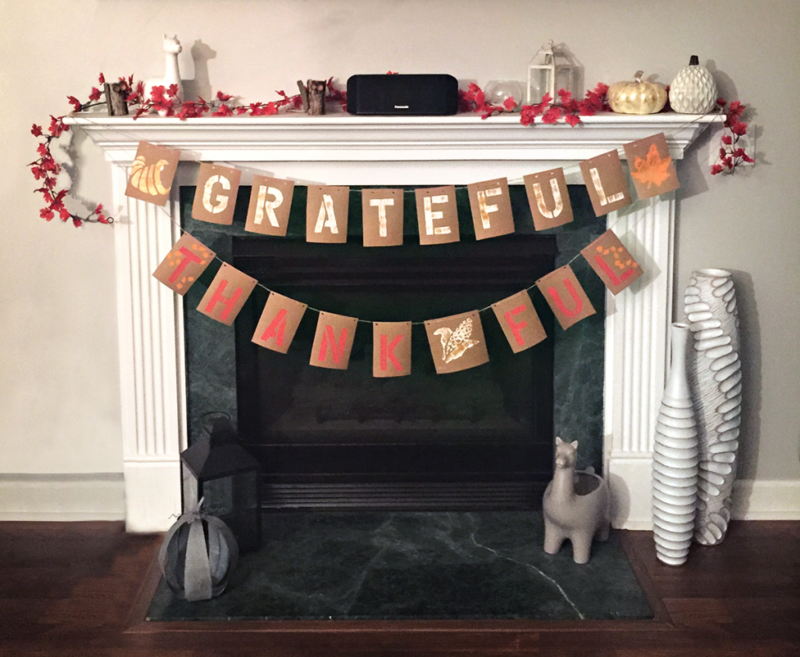 Hang you banner over a fireplace, in the kitchen or in the dining room and enjoy!